Tribes Overall: "We could not have wished for more. Our honeymoon was absolutely fantastic." Tribes Service: "The help planning and booking was excellent." Social & Environmental Responsibility: "On Rodrigues, we enjoyed getting an insight into the local people through our hosts and to see how they employed locals." A really unique experience. Fernand and Marie-Line were wonderful hosts. We felt like we were staying with family friends. We were the only guests staying with them and they gave us lifts around the island, had meals with us and entertained us. Staying with them was the best part of the trip. However, I think it is hard to 'package' the experience and get the feeling that Fernand and Marie-Line are not keen on dealing with agents and tour operators. My suggestion would be to ask them what they want to offer to the customers of Tribes, rather than directing what they should be providing. 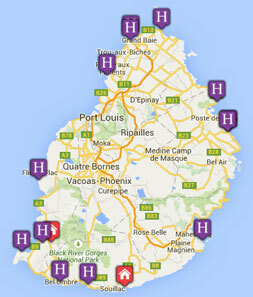 Start planning your tailor-made holiday to Mauritius. Tell us what you want, and we will tailor make your perfect trip.  Flight time: Direct flights from London are operated by British Airways, Air Mauritius and Virgin (seasonally). Flying time just under 12 hours. Links with Air Mauritius, Kenya Airways or South African Airways to the mainland African continent are possible.  Language: Official language is English. Most widely spoken is Mauritian Creole which has close ties to French. French is also widely spoken.  Visas: Not required by UK passport holders.  Health: Malaria free zone and no compulsary vaccinations (except Yellow Fever if arriving from an infected country).